Luxury & Comfort in Front of the Pacific Ocean. Casa Cielo has everything you need for a relaxing time in the tropics as a family or with friends, with an open floor plan and a homey feel. Located in Guanacaste in the exquisite community of Las Catalinas, it provides a location both close to Playa Danta and with great views. This lovely home can accommodate six people, with each of the three bedrooms sporting a private bathroom and its own personal view of the Pacific Ocean. It offers a master suite with additional details, such as a walk-in closet, an indoor-outdoor shower, and a private terrace. Perfect for morning coffee in the fresh air! The house itself has an enviable spot just a few steps from the beach. It also offers numerous outdoor spaces, including a plunge pool, a patio with dining area, and a second-floor balcony with incredible views. It even has hammocks where you can relax and listen to the waves. As expected in such a luxurious home, the kitchen is fully equipped and comes with stainless steel appliances. Lovely blue, yellow, and natural accents fit perfectly with the French doors that open to the patio. Dining and recreation areas have clean, modern design with an eye to comfort. Both indoor and outdoor dining areas are at your disposal, so feel free to enjoy the fresh air with your fresh tropical fruit. The House Mom housekeeping service is complimentary and includes breakfast prepared daily with ingredients found at home or what the Concierge Team has purchased prior to arrival. Service begins at 8:30 AM and ends at 4:30 PM. 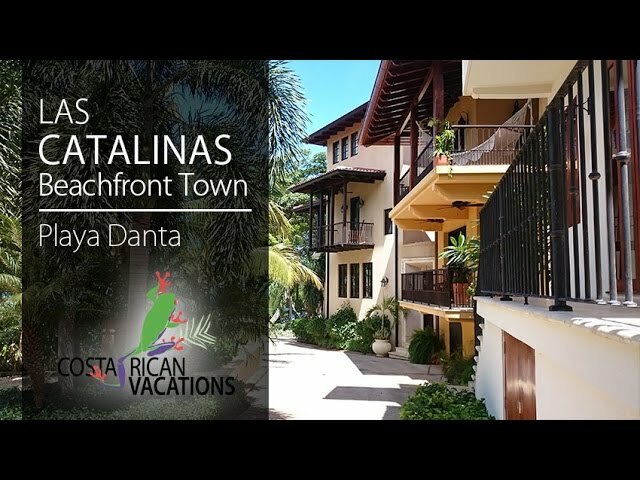 If you feel like exploring, you also have access to all the Las Catalinas community has to provide, such as a beachfront restaurant and beach club with daily activities, beach toys for rent, three pools, and a gym. Other amenities you will appreciate are the 24-hour security, WiFi, access to the spa, and a concierge service that will help with everything you might need.